City of Trees launched in November 2015 and is an ambitious and exciting partnership led by The Oglesby Trust and Community Forest Trust (CFT). Up until the launch of City of Trees, Red Rose Forest was the public face of CFT’s work in the City Region, and has a 25 year history working towards greening Greater Manchester. What Red Rose Forest helped to deliver now sits as the foundation, upon which we build a new future, and fresh new vision – City of Trees. Read more about the history in our timeline below. The launch of Greater Manchester Community Forest - Greater Manchester West Community Forest initiated as one of 12 Community Forests in England covering Bury, Bolton. Manchester, Salford, Trafford and Wigan. The naming of Red Rose Forest - The partnership was re-named Red Rose Forest following a schools competition for a new name with over 1,000 schools taking part. Launch of public consultation on the Forest Plan - Red Rose Forest launched the consultation on the 'Red Rose Forest plan' to the public - asking them to get involved to help transform urban wastelands and neglected countryside into woodlands, wildlife centres and tree-filled parks - fronted by Sir Bobby Charlton. Development and launch of the Red Rose Forest Plan - The Red Rose Forest Plan was approved by Government and launched to the public. It aimed to be a mechanism for the economic, social, and environmental regeneration of the countryside around our towns and cities. Manchester Aviation Tree Challenge - A partnership project with Manchester Airport supporting community groups and schools to plant trees and deliver exciting projects on the ground. Red Rose Forest Trust established to support the development of the Forest - The charitable company was established to help the Forest happen quicker. The Trust could now raise money, employ staff, run projects and acquire land. The Trust is now called Community Forest Trust and now also supports community forestry in other areas. The purchase of Viridor Wood - Viridor Wood in Wigan was purchased by the Trust. This was its first land acquisition and encouraged Forest Enterprise to start operating in Greater Manchester. Capital Modernisation Fund - Working with the Forestry Commission and other partners, major investment from Government was secured to procure a number of key sites including Viridor Wood 2 and Colliers Wood. Green Tips project started - Major partnership project with Greater Manchester Waste Disposal Authority and local communities to green and to improve access to former landfill sites. Trees of Time and Place - Over 36,000 people grew their own tree from seed as part of this exciting project for the millennium. Green Streets started in Trafford and Manchester - Green Streets, a programme to green Greater Manchester's streets launched in the two boroughs, and still continues today. Launch of Dedicate a Tree - The Dedicate a Tree scheme was launched which aimed to give people a way of celebrating and commemorating special occasions whilst leaving a lasting, positive legacy for future generations. Newlands scheme begins - Newlands was a unique £59 million scheme reclaiming large areas of brownfield land across England's Northwest. Red Rose Forest worked on Moston Vale, Harpurhey and LIVIA in Salford as well as numerous Green Streets projects. The Woodfuel Biomass project launched - This project aimed to raise awareness of local wood waste as a viable and sustainable fuel. Green Infrastructure for the Liverpool and Manchester City Regions report produced - This important report was produced with partners which helped lay the foundations in the UK for a holistic view to be taken of green infrastructure - later won the Landscape Institute's Landscape Policy Award. The first City Centre Green Streets projects - Working with Manchester City Council, the Green Streets in the City Centre project was launched with the retrofiiting of street trees on Princess Street. The work continues with planting in the Northern Quarter and other streets including Whitworth St, Portland St, Chepstow St and Medlock St.
Green Corporate Days launched - Building on the success of previous conservation away-days with BUPA, Pricewaterhouse Coopers and Barclaycard a Green Corporate away day offer was developed - which is still available now. Fruits of the Red Rose Forest - This project created several new orchards across Greater Manchester, as well as reviving existing ones within the area. Launch of Top Trees - Red Rose Forest launched the Top Tree campaign in National Tree Week - asking members of the public to tell us about their favourite tree in Greater Manchester, alongside a photograph competition. Green Streets success - At the end of 2007 the scheme had planted 225 street trees across Manchester, Salford and Trafford. Greater Manchester Tree Audit - The Greater Manchester Tree Audit was completed which mapped where trees, woods and green space were in order to plan for planting more effectively. Tackling climate change - The University of Manchester's ASCUUE project (Adaptation Strateges for Climate Change) was completed, helping us to learn more about tackling climate change and the urban heat island effect. Lightshaw Meadows project - This important wildlife conservation and woodland creation project in Wigan proceds with support from the Heritage Lottery Fund and Wigan Council, in partnership with Lancashire Wildlife Trust. 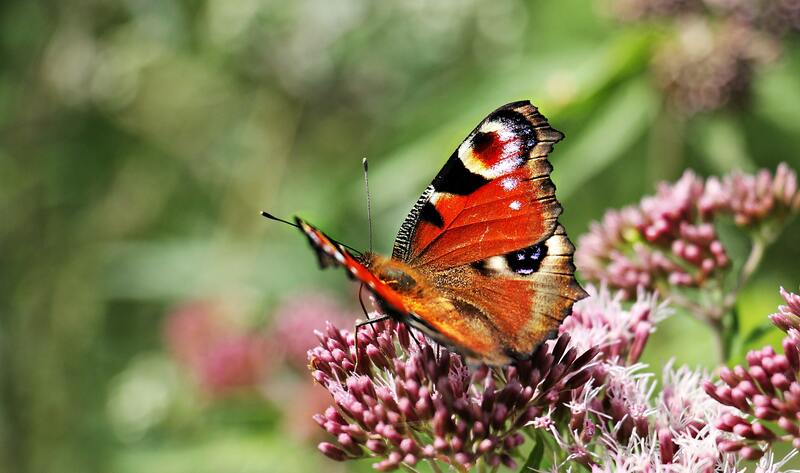 Access to Nature project in Manchester/Salford - Funding secured to work with communities at The Crescent, Salford and Nutsford Vale, Manchester to improve access and carry out community engagement activities. Red Rose Forest team moves to environmentally-friendly building - With support from ENER-G, Rockwool and ATAG boilers the buildings energy consumption was reduced - cutting bills and reducing the carbon footprint. i-trees - The pioneering i-trees project with the University of Manchester, which examined how trees can help reduce the impact of climate change in urban areas, was completed. Little Green Roofs - Red Rose Forest's Little Green Roofs project created 10 new green surfaces across Greater Manchester, including five schools, two allotment sites, a community centre, a community garden and a church. Greening Manchester City Centre - A stunning new green corridor of 83 trees stretching through the heart of the city was completed. GI at The Christie Hospital - A Green Infrastructure Plan was produced with the Christie Hospital, Natural England, and the Joint Health Unit at Manchester City Council for the site in Withington. Stevenson Square, Manchester urban greening project - Stevenson Square in Manchester's vibrant and creative Northern Quarter was given a green makeover with 11 new street trees and a green roof. Launch of Heritage Trees project - This four-year project will celebrate, record and protect our local tree heritage - the trees, woodlands, hedgerows and orchards which are part of the fabric of our towns and cities - supported by the Heritage Lottery Fund. Inaurgal City of Trees meeting - A gathering of key players from across Greater Manchester's sectors sign up to Manchester City of Trees - as instigated by The Oglesby Charitable Trust and Red Rose Forest with support from Creative Concern. Manchester City of Trees launches to the public - City of Trees is officially launched with a public tree planting event. Launch of Dementia Naturally Active (DNA) - The official launch of the DNA programme for people living with dementia, their families and carers. The project involves running indoor and outdoor nature based activities that will improve health and wellbeing. Launch of the Heritage Trees website - The Heritage Trees website is launched to the public. With funding from the Heritage Lottery Fund, we want to create a unique online interactive database of people's stories, memories and photographs of their local tree heritage - as well as maps showing where to find trees of interest near you. www.heritagetrees.org.uk. City of Trees continues it's work across Greater Manchester, planting more trees, bringing woodlands back into use for the community and connecting people to nature. For the latest updates visit our news pages.